A few Saturdays ago, I sat down at da’ Vida’s Beach Bar and Grill with Mr. Clemvio Hodge, youth advocate and the current Publishing Manager of the ‘What We Do In Anguilla’ Magazine. As we sipped our frozen cocktails and enjoyed the amazing view of Crocus Bay, we engaged in a vibrant discussion about his family business, magazine publishing, youth and Anguilla. Here are the highlights of our discussion. Enjoy! MAE: Who is Clemvio Hodge? Clemvio: Clemvio Hodge is the son of Teacher George Hodge, Publishing Manager of the What We Do In Anguilla (WWDIA) Official Island Guide magazine, WWDIA monthly and the Light newspaper. I am also a CARICOM Youth Ambassador for Anguilla and the Public Relations Officer for the National Youth Council. I have a deep love for my country, Anguilla, and enjoy advocating for youth throughout the island to ensure that they have a voice and are being heard. This is why you may hear me on the radio talking to the politicians or interviewing persons and asking questions that youth may want to ask but are afraid to ask. I am also a brother, you can say a loving brother too, a recent graduate of the Albena Lake Hodge Comprehensive School, Sixth Form and an amateur photographer. My photography is published in the most recent issue of the What We Do In Anguilla (WWDIA) Official Island Guide magazine. I am also a layout designer, not through any formal training, but from experience and watching my dad compile the magazine and the other publications that we own. MAE: Tell us a bit about the history or inspiration behind the WWDIA magazine. 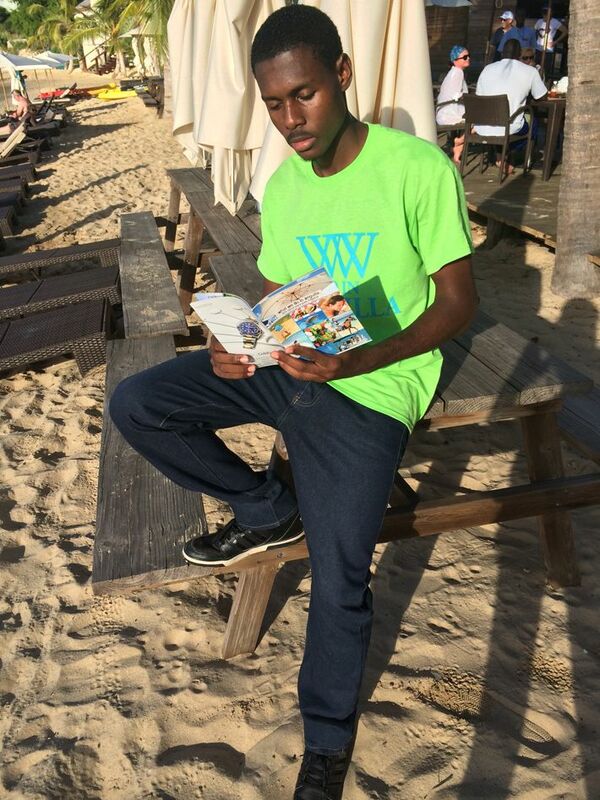 Clemvio: The What We Do in Anguilla (WWDIA) Official Island Guide Magazine was the brain child of my dad, Tr. George Hodge. 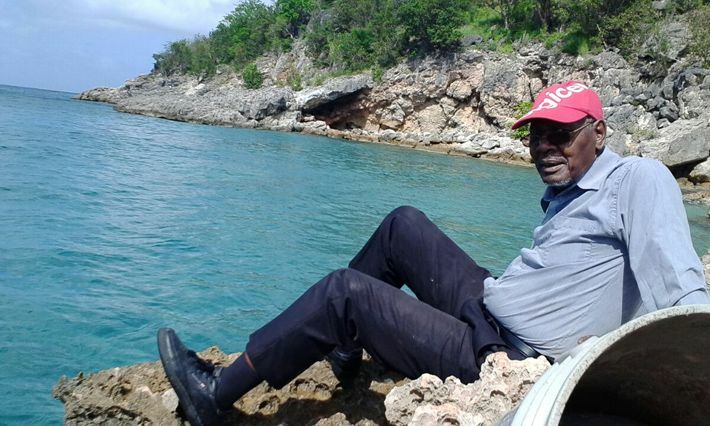 My dad began publishing in Anguilla in 1987 with the WWDIA monthly newspaper. He then had the inspiration that we needed a “glossy kind of guide” to represent Anguilla and to guide persons towards what we do in Anguilla. He decided in 1991 to publish the first ever WWDIA magazine and since then the magazine has been around for the past twenty – five (25) years. It has now grown in different styles from the one picture cover page originally to the collage of photos that we now have on the front page. The collage is compiled based on the idea of the varying things that we do in Anguilla. The magazine is actually a very small magazine. It is small and yet compact, piled with lots of interesting information. We have information for everyone including the tourists, day trippers, investors and even the locals. 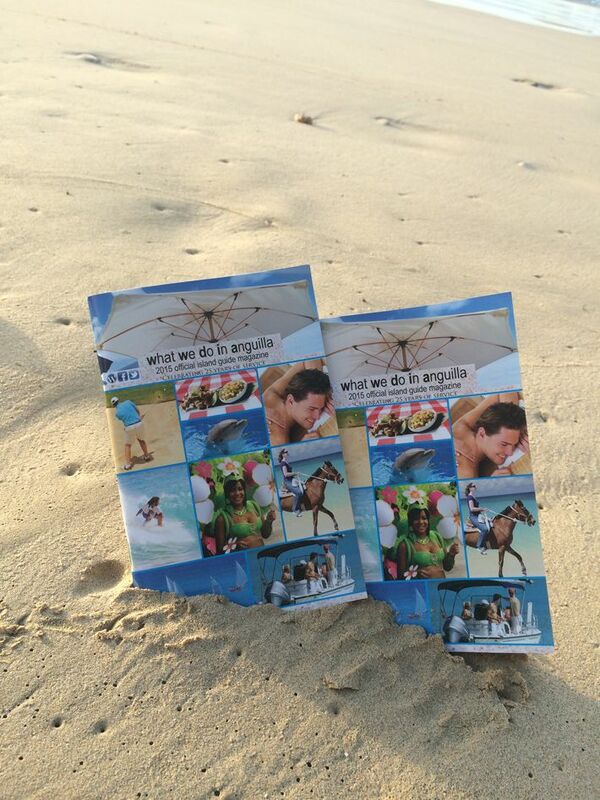 MAE: What does the What We Do In Anguilla magazine offer? Clemvio: The main target audience is our tourists and investors. We try our best to cater for everything that we do in Anguilla. We have a page for festivals, where to shop and dine, the water world (water activities and beaches), where to stay and most importantly we have the map, because we don’t want anyone getting lost in Anguilla. The magazine also offers other important and interesting facts and information that persons may deem necessary to their stay such as information related to our medical services, the population and GDP, who is the governor and local blogs they can visit for more information about Anguilla (MyAnguillaExperience.com is featured!). We also have a page for youth development because as a person advocating for youth I believe that youth development is a very important social aspect of our economy that we should focus on and promote, even to our tourists/investors, to show them that we are developing. 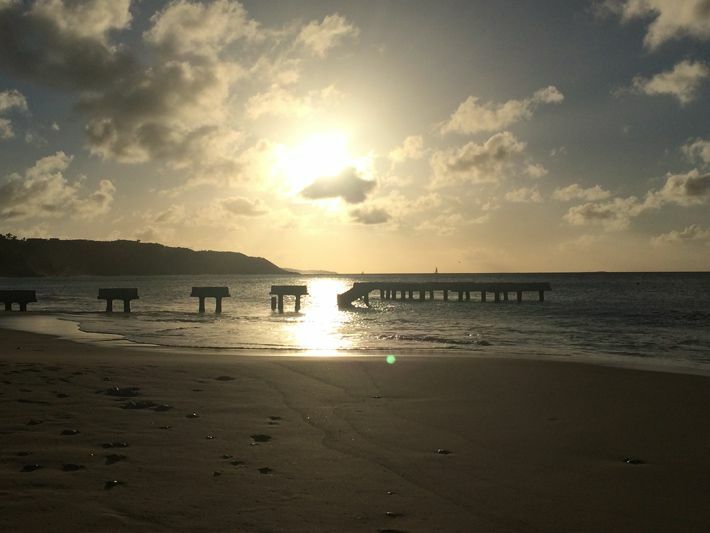 There’s a page for investing in Anguilla, because we want investors to come to the island, so we try to bring them in by highlighting what we do in Anguilla, the economic projects we had from 2000 to 2014 and our tourism statistics which we see have been increasing lately. MAE: How does What We Do In Anguilla link/contribute to tourism in Anguilla? Clemvio: In terms of contributing to tourism in Anguilla, firstly the magazine is a great handy guide to help persons navigate Anguilla and find out what we do as the name implies. It is digest size, very light and easy to travel with, so individuals can plan their movements and activities throughout their stay from the magazine. A lot of persons also take the magazine back home as a souvenir. I found out recently that there is a lady from Massachusetts who has almost every copy of the magazine. I was very excited by this discovery and it turned out to be very handy for us. One time we were searching for the cover pages of some older magazines but it turns out they had gotten destroyed during Hurricane Lenny. This lady was able to help us recover the destroyed cover pages. An interesting fact, she was actually one of the persons on the cover page of the WWDIA magazine 1996 issue. She expressed that she has a great love for Anguilla and the magazine. I mean, if she has almost every copy then there is definitely a love there! 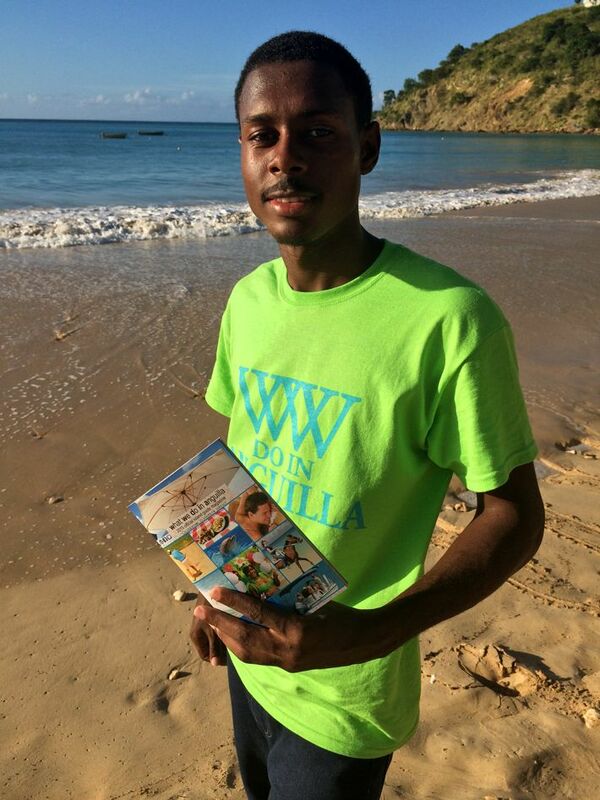 MAE: Where can one get a copy of What We Do In Anguilla magazine? Clemvio: One of our biggest distribution points is the ports, especially Blowing Point Seaport. Almost every week we have to take a significant number of boxes there. We also distribute to restaurants, resorts/hotels, the post office and even banks and supermarkets. We basically distribute copies of the magazine anywhere and everywhere that you may find tourists. MAE: Do you consider yourself passionate about Magazine Publishing? Clemvio: Yes, I consider myself very passionate about the magazine because it is what I grew up with. The magazine is twenty five (25) years and I am turning twenty (20), so it has been in my family my whole life. This is why I plan to ensure that it continues to grow and blossom for hopefully another twenty five (25) years. I am also very passionate about the magazine because it is the bread and butter of our family. It is what has sustained our family for the past twenty five (25) years and I would not want to see that die because it has been very loyal to us. MAE: Did you always want to go into the family business? Clemvio: From a very young age, I have always said to myself that I cannot allow the magazine and our family business to die. Although it may not be what I will do career wise myself forever, I plan to create a team of persons who will be able to continue the work that we do and grow the magazine to its full potential. MAE: What are some of the highlights of owning/managing WWDIA magazine? Clemvio: One of the most exciting aspects of managing the magazine is seeing a person just out of the blue reading the magazine somewhere on the beach, in their car or as they explore the island. One of my favourite highpoints was speaking to a young girl, about primary school age, and she told me that she really likes the magazine and for the last five years every time her family travels they take copies of the magazine with them and leave them at the hotel or give them out to persons. When you are providing a service that promotes your country and you find other persons taking up the mantle to help you distribute your product, it really warms your heart. The most recent magazine for 2015 was also our 25th anniversary magazine and the issue that I put the most work into. I compiled all the information and my dad just browsed through to ensure I had the right information. So when it arrived on December 21st, 2014, right before Christmas it felt like one of the best Christmas gifts I could ever receive. It was a very exciting moment. MAE: What are some of the most challenging aspects of managing a magazine? Clemvio: Selling ads. You are providing a service, a very good service and people have to make decisions as to whether they would be interested in purchasing ad space in the magazine. It may take a little while for them to make those decisions and so it is time consuming on a salesperson. Sometimes they say that they would not be able to advertise with you, everyone has their reasons for saying it, but it is still a very tough process. MAE: What makes What We Do In Anguilla magazine stand out? Clemvio: What makes it special or different is, first of all, the length of time it has been around providing the service it has been providing. Twenty five years! Secondly, we are a guide, so we guide persons to the Anguilla experience. We don’t really publish articles per se, on persons, places or things, but we highlight them. Thirdly, the many great reviews it has received over the years as being a guide that is handy, compact and packed with important information that persons find helpful during their stay and island explorations. MAE: Do you receive a lot of local support? Clemvio: I would definitely say so. For the past twenty five (25) years I would say that we have gotten a lot of local support. We find that in Anguilla a lot of locals own businesses and we provide an opportunity for them to advertise both within and outside of Anguilla. Many local businesses take up this opportunity. We also get local support from persons just taking up the magazine and taking it home. Because they have it home, they read it, gather insight from and use it in their daily lives. 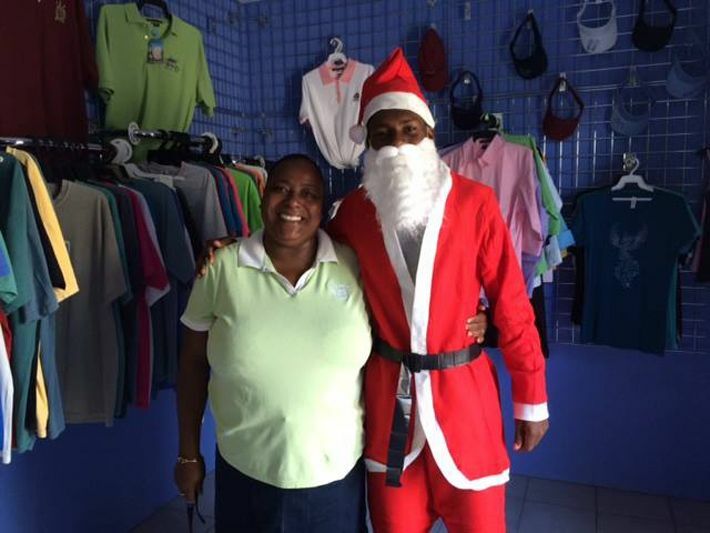 MAE: Does What We Do In Anguilla give back to the Community? Clemvio: One of the greatest ways in which we give back to the community is that the magazine is free of charge. A toddler could take up the magazine just to look at the pictures if they liked. As I have recently taken over managing the magazine, I also have some other ideas in terms of giving back to the community that I would eventually like to put in place over time. MAE: As a positive young male role model, what advice do you have for other young persons on running a business/pursuing their dreams? Clemvio: I like that question. I am a strong advocate for entrepreneurship. I believe that small businesses are vital to the success of the economy. 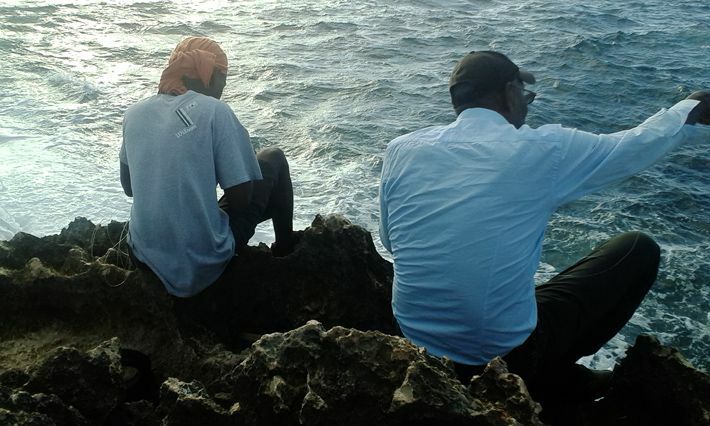 In Anguilla, we have many skilled persons who can utilize their talents to make money. Maslow outlined a hierarchy of needs where people are motivated to reach the highest level called self-actualization. Self actualization is about finding yourself and I do not believe that you can find yourself working under someone else. I believe that more entrepreneurs are needed in Anguilla and many young persons possess the ability to become entrepreneurs. In relation to pursuing your dream, I believe that if you dream it, you can achieve it. One of my dreams was to one day move the magazine in a direction of success and continued growth. That dream is coming true. Another is to help youth develop and that dream is also slowly coming to light. There is never failure. Instead, you should use that downfall or mishap to your advantage as a learning experience. You have to believe in yourself because if you don’t no one else will believe in you. If you have an idea and you don’t believe that that idea will be successful or if you don’t take the necessary steps to ensure that your idea is successful, you will never achieve it. You have to take risks. The definition of an entrepreneur is someone who takes risks. You cannot be afraid or fear the unknown. The unknown is actually an untapped opportunity for you. Take Thomas Edison, he ventured into the unknown and ended up creating one of the greatest inventions of all time – the light bulb. MAE: Who are some of your role models and why? Clemvio: My dad, definitely! He is the person who has helped me to develop and groomed me to take over the family business. One of my favourite quotes is “Ask not what your country can do for you, ask what you can do for your country,” taken from John F Kennedy’s inaugural speech. That quote is something I guide myself by in everything that I do especially as it relates to my community work. Martin Luther King is another one of my role models. His “I Have A Dream” speech is very powerful and inspiring. There are many other persons out there, some may even be younger than myself who could probably be my inspiration as well. I may not be able to pinpoint them at the moment but just the things they do out there are inspiring to me. For example, someone who inspires me is a person who is trying to make a way for themselves. Even though they encounter many obstacles they do not stop because they don’t see failure as an option and just continue to push themselves forward. MAE: What are some of your upcoming business projects? Clemvio: Currently we have a brochure guide called “Enjoy” that we are trying to put out. It is a guide for discounts, freebies and samplings. The guide is an alternative, affordable way for businesses to advertise their discounts and promotions, other than flyers, which can be quite expensive and/or difficult to distribute. We are trying to get local persons who have just started businesses and may not have the high amount of money for marketing to come onboard with us. We will help them to promote their business as best as possible through the discounts, samplings or freebies that they may have in an effort to increase their patronage. 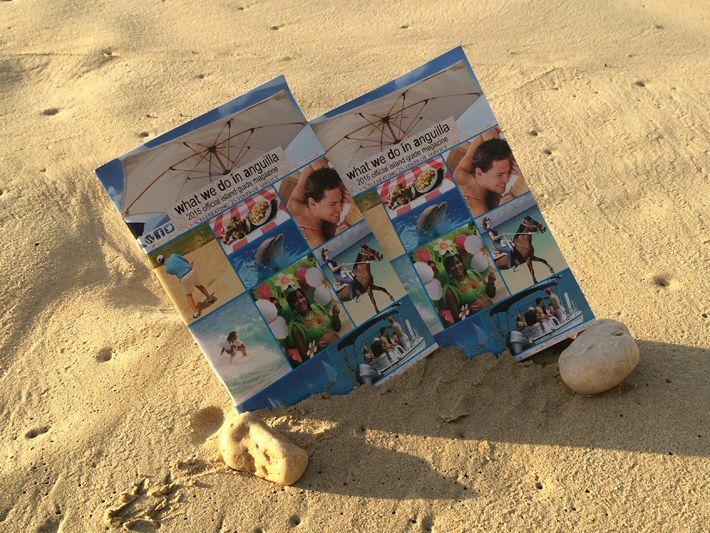 Unlike the What We Do In Anguilla magazine, the “Enjoy” guide will be sold for a small fee of about US$5.00. The guide will include a range of discounts that tourists can utilize during their stay as well as locals. We want to do it in a way that advertisers can sell them for themselves and make back the money they spent on the ad. Our aim is to keep it as low cost as possible for them. It is an opportunity for small businesses who may not have large funds for advertising/marketing to get out there. The weekly and monthly newspapers were suspended for a bit. However, I would like to start those back up because they also have their place and they were doing a good job so I would like to see them come back as well. MAE: Is the magazine currently online? Clemvio: Moving online is one of the next steps and I see that happening in the near future. We are aware that online has a greater reach but we believe there is still a great need for the printed version because persons find having something in their hand that is tangible is a necessity at times. MAE: What is the future for What We Do In Anguilla magazine? Clemvio: I am always looking for new ways to increase the quality of the magazine. Also I would like to increase the number of pages so that we can include even more content. Clemvio: It is a great honour to have taken up this position. It is also a great responsibility as well to ensure that Anguilla is promoted in the way it should be and ensure that no misinformation is published. Most importantly, we seek to ensure that the Anguilla we promote and highlight in our magazine is representative of the Anguilla that our tourists encounter when they arrive and/or experience during their stay. MAE: What is on your bucket list for 2015? Clemvio: Fishing. I don’t fish enough right now. My dad really wants to go fishing so I have to go fishing with him sometime soon. I would also like to travel some more. My community service is also always a priority. Fun fact about me, I love maths and I tutor maths at the HOPE Centre. My students, they like me. MAE: What is your favourite restaurant in Anguilla? Clemvio: I actually really like da’Vida’s, it has great service. One of the best, which most people may not know about is Coconos restaurant in Blowing Point. Coconos is top for me when it comes to good home cooked food and value for money. MAE: What do you do in your leisure time? Clemvio: My community work takes up most of my leisure time. I am also involved with the Youth Spin, Youth Radio Programme. I also do some gardening. I recently planted some coconut trees and some mango trees. Stay in touch! Follow My Anguilla Experience on Facebook and Instagram too. Its refreshing to see a young man with such focus, drive and confidence. I hope he continues to grow and learn and wish him and the magazine many successes and triumph over obstacles. Mr. Clemvio Hodge is a role model. Thanks for your comment. Indeed he is :). I am sure he will appreciate your positive feedback. Thanks a million. Thank you very much Jerry and My Anguilla Experience thanks for the interview! You are very welcome Clemvio :).